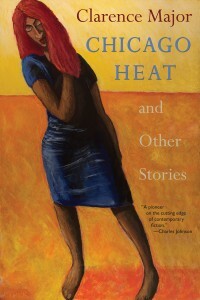 Chicago Heat and Other Stories by Clarence Major, employs a gorgeous purity and simplicity of language in a series of masterful analyses examining human interaction. Each narrative voice comes forward all at once, individual and complete, without obstacle or complication, enabling the reader to see the characters and feel their emotions. Major does not shy away from the bitter or the harsh; we get to hear it all. Like paint on an easel he blends lyricality with moxie and the blunt with the beautiful. The characters come together as easily as they part; people leaving, coming back, going, staying—it all sticks and fades like heat on your skin. The imagery is completely accessible and generously given. Toni Morrison comes to mind. His work is like jewels. His list of works and achievements is an impressive one. From awards like the Pushcart Prize and National Book Award, to fellowships like the Fulbright Fellowship and National Council for the Arts Fellowship, Clarence Major has established himself as a prominent literary figure. Having written more than eight novels, including My Amputations and Dirty Bird Blues, alongside a dozen books of poetry, Chicago Heat and Other Stories is only his second work of short fiction and first book with Green Writers Press. “[Major’s] language is both lyric and precise. His vision is both humorous . . . and serious. CLARENCE MAJOR is a prizewinning short story writer, novelist, poet and painter. As a finalist for the National Book Award he won a Bronze Medal for his book Configurations: New and Selected Poems 1958-1998. Major was a finalist for the Los Angeles Times Book Prize, The Bay Area Book Reviewers Book Award and The Prix Maurice Coindreau in France. 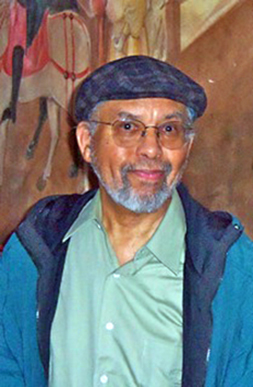 He is the recipient of The Western States Book Award, The National Council on The Arts Award, a New York Cultural Foundation Award, The Stephen Henderson Poetry Award for Outstanding Achievement (African American Literature and Culture Society of The American Literature Association), the Sister Circle Book Award, two Pushcart prizes, the International Literary Hall of Fame Award (Chicago State University), the 2015 Lifetime Achievement Award in the Fine Arts, presented by the Congressional Black Caucus Foundation, and other awards. He is Distinguished Professor Emeritus at the University of California at Davis. The cover painting is by Clarence Major, entitled “Lady,” 60 x 36 inches; acrylic on canvas. Author available for readings and interviews.